Set imaginations in colorful motion! 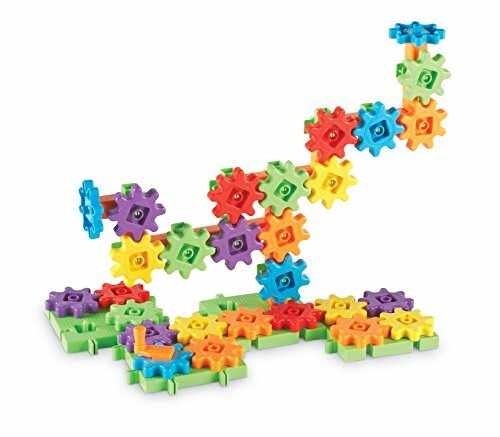 Introduce young builders to the world of gears with this starter set featuring fun, bright new colors and kid-friendly pieces for easy construction. Invites "little engineers" to discover a world of building possibilities while developing critical thinking and problem solving skills. Includes 28 colorful gears, 14 square pillars, 13 six-way axles, 4 interlocking bases, handle, and Activity Guide. Compatible with all other Gears!Gears!Gears! sets for even more imagination and fun. By Fun & Toys Inc.